The TextView class implements the behavior for a scrollable, multiline text region. The class supports the display of text using custom style information and also supports text editing. You typically use a text view to display multiple lines of text, such as when displaying the body of a large text document. DidBeginEditing() Use this event to be notified when editing began in the specified text field. DidEndEditing() Use this event to be notified when editing stopped for the specified text field. Changed() Use this event to be notified when text changed in the specified text field. DidChangeSelection() Use this event to be notified when text selection changed in the specified text field. DidScroll() This event is called when the user scrolls the content view. DidEndDragging(decelerate: Bool) This event is called when dragging ended in the scroll view. The scroll view sends this event when the user’s finger touches up after dragging content. The decelerating property of the scroll view controls deceleration. The decelerate value is true if the scrolling movement will continue, but decelerate, after a touch-up gesture during a dragging operation. If the value is NO, scrolling stops immediately upon touch-up. DidEndDecelerating() This event is called when the scroll view ends decelerating the scrolling movement. var text: String The text displayed by the text view. 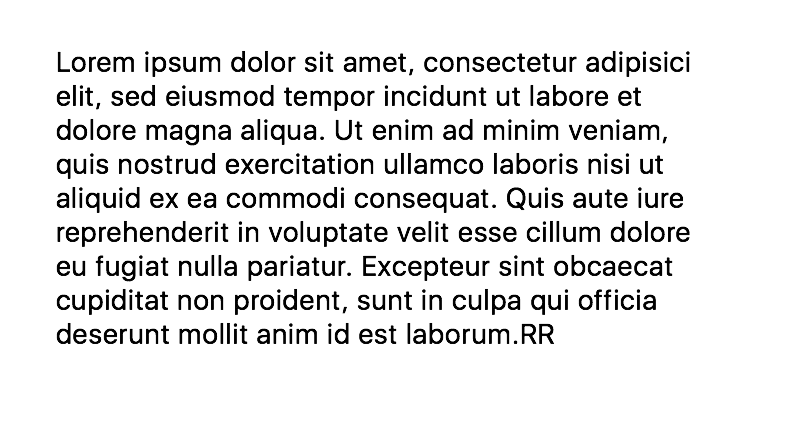 var textColor: Color The color of the text. var textType: TextType A value that specifies how text must be interpreted and rendered. var font: Font The font of the text. var textAlignment: TextAlignment The technique to use for aligning the text. var selectedRange: Range The current selection range of the receiver. var editable: Bool A Boolean value indicating whether the receiver is editable. var dataDetectorTypes: DataDetectorTypes The types of data converted to tappable URLs in the text view. var clearsOnInsertion: Bool A Boolean value indicating whether inserting text replaces the previous contents. var inputView: UIView The custom input view to display when the text view becomes the first responder. var inputAccessoryView: UIView The custom accessory view to display when the text view becomes the first responder. func hasText(): Bool Returns a Boolean value indicating whether the text view currently contains any text. func appendText(text: String) Appends a given string to the receiver. func scrollRangeToVisible(range: Range) Scrolls the receiver until the text in the specified range is visible.